Originally from London and Shrewsbury, UK, I moved to the USA in 1980 to take a Masters degree in City and Regional Planning at Cornell University. 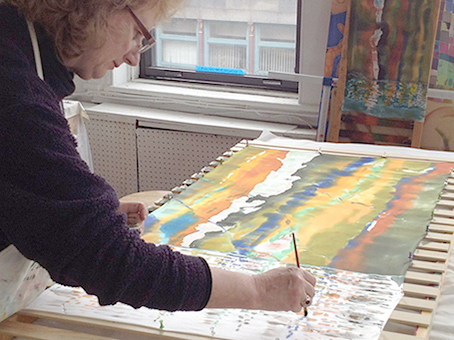 Following a career in environmental planning and landscape design in the Boston area, I switched paths in 2009 to design and paint with dyes on silk. Now, with a new house in Gloucester, MA and my own studio, I am also immersing myself in watercolor painting. 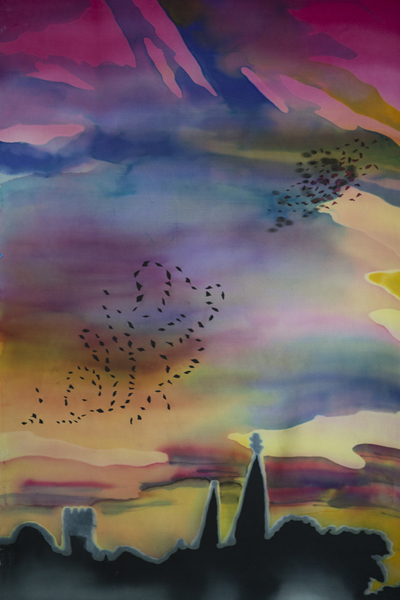 The fluidity of the medium of dyes and resists in silk painting influences my approach to design. I began creating silk paintings which hang from copper stands and become one with the landscape. I love to experiment with many different forms of painting on silk – batik, shibori, silk screen printing and immersive dyeing. The designs or subject matters of so many of my silk paintings and wearables are combined with a deep commitment to environmental sustainability. Through the vivid color and lusciousness of the silk, I seek to engage people emotionally to ask sometimes unanswerable questions about our environment and climate change. I am a member of Silk Painters International, and co-Administrator of Ten Pound Studio, a silk painting teaching studio in Gloucester, MA. I recently created Goose Cove Studio, where I will be offering silk and other art workshops from my home Studio. 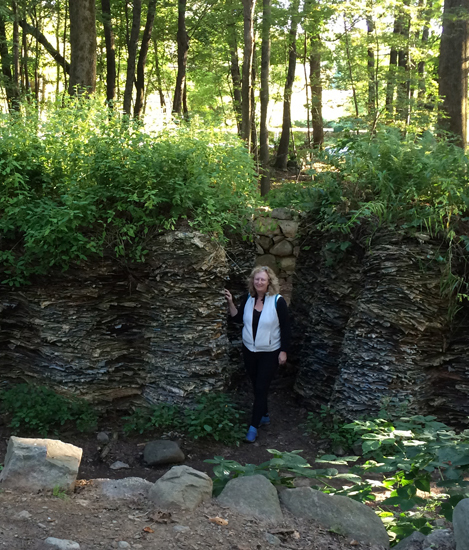 'All the Rocks We Cannot See: Thoreau and the Changing Landscape of Dogtown'. ‘Passages’ West Parish Garden Cemetery, Andover, MA. Rough Meadows Wildlife Sanctuary, Rowley, MA and Crane Estate Art Show, Ipswich, MA. ‘Storm Surge’ Newburyport Art Association. ‘Spring Awakening’ show with Ten Pound Studio, Flatrocks Gallery. Gloucester, MA. Silk Painters International (SPIN) Santa Fe, 2014. 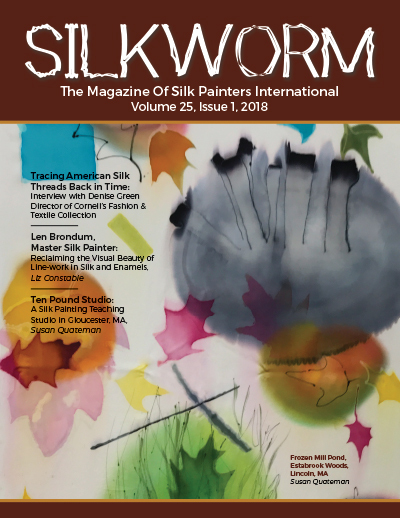 Articles by Susan Quateman on silk painting, in Silkworm, the magazine of Silk Painters International.